Watch Thurl Bailey speaking about his life’s purpose. Bailey, whose basketball career has spanned over 16 years from 1983 to 1999, was drafted by the Utah Jazz in 1983. He spent twelve years in the NBA and four years playing overseas in Italy and Greece. On Dec. 31, 1995, while playing in Italy, Bailey joined the Church of Jesus Christ of Latter-day Saints. He is now a frequent Christian speaker at Mormon events. 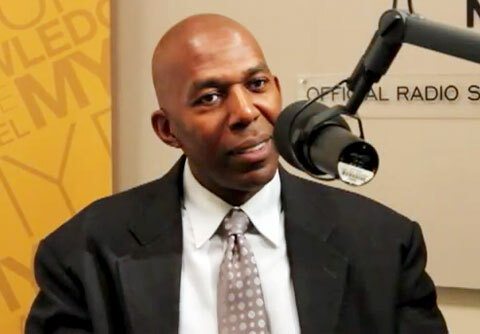 In addition to being a motivational speaker, Thurl Bailey is a broadcast analyst for the Utah Jazz and the University of Utah, an actor, and an award winning singer/song writer. His first album, Faith In Your Heart, was a compilation of uplifting songs that won several top awards. Bailey’s numerous awards include the NBA’s prestigious Kennedy Community Award, the Utah Association for Gifted Children’s Community Service Award, Sigma Gamma Chi fraternity’s Exemplary Manhood Award, the Great Salt Lake Council of the Boy Scouts of America’s American Champion Award and the Italian League’s 1998 All Star Games MVP. Bailey also gives back to the community. He has directed basketball camps for youth since 1984 where he teaches young people lessons about life and basketball. Many of his students have special needs, who come from disadvantaged backgrounds or have serious illnesses, and are able to attend the camps on a scholarship. If you would like to book basketball speakers or NBA stars like Thurl Bailey for a speaking engagement, guest appearance, celebrity golf tournament, charity fundraiser or special event, contact Thurl Bailey’s agent for speaker and appearance fees or call 800.966.1380.